Sixty second peculiar adventure game Minit has finally launched on Nintendo Switch today. Minit developers have put out a special launch trailer to commemorate the game’s launch. It’s called “Nintendo Switch when?”, a reference to port begging fans. 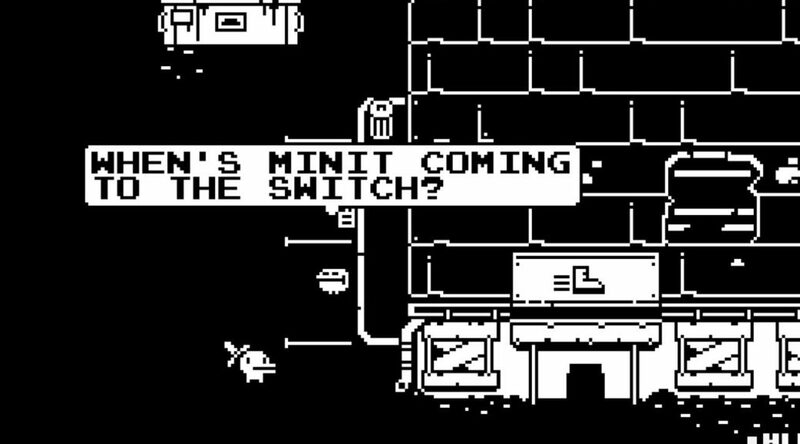 The sixty-second peculiar adventure Minit launched earlier this year, eager fans have asked the age-old question “when is the game coming to Switch”? Today, the development team of Kitty Calis, Jan Willem Nijman, Jukio Kallio & Dominik Johann can proudly answer “right…now”. Heralded by a custom Nintendo Switch launch trailer capturing the timeless back and forth of the modern indie game developer and their fans, Minit is available today on Nintendo Switch for $9.99 [minitgame.com]. Minit arrives as the first game developed with YoYo Games’ GameMaker Studio 2 to launch on the Nintendo Switch.